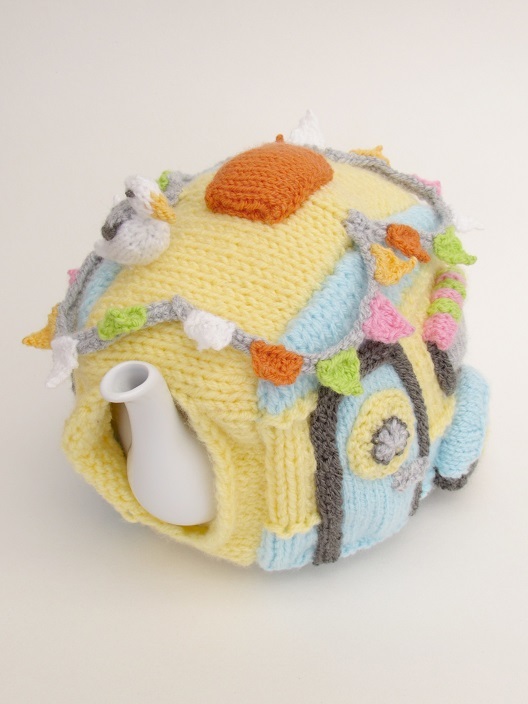 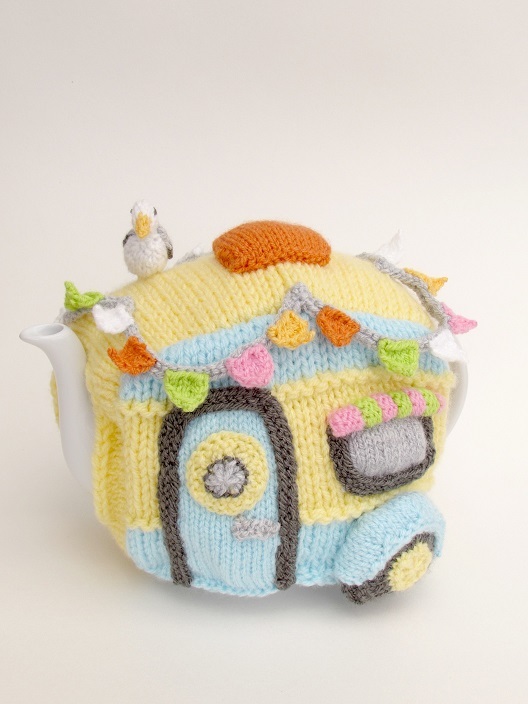 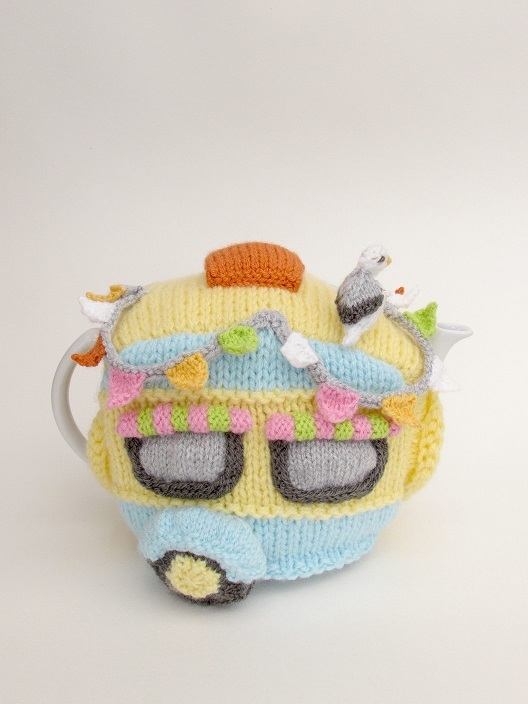 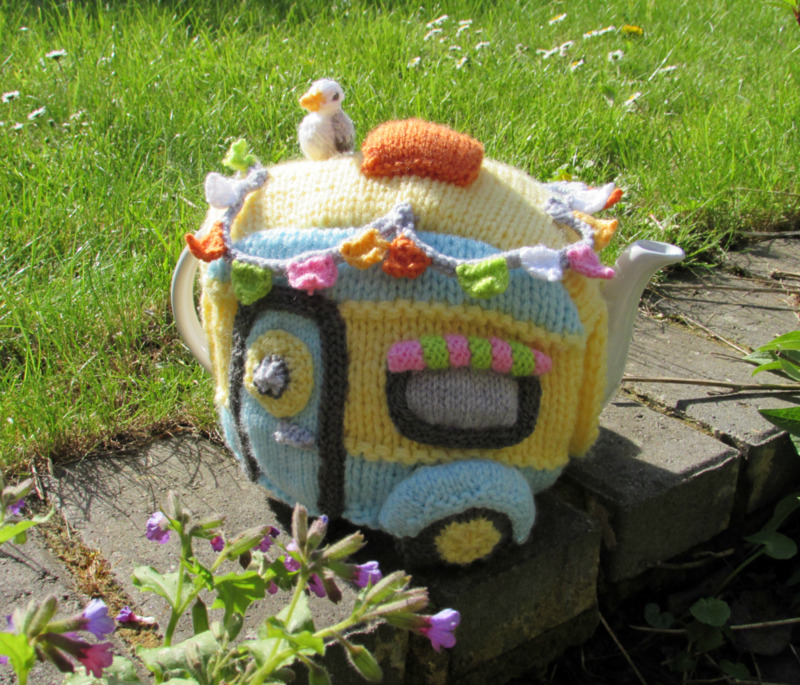 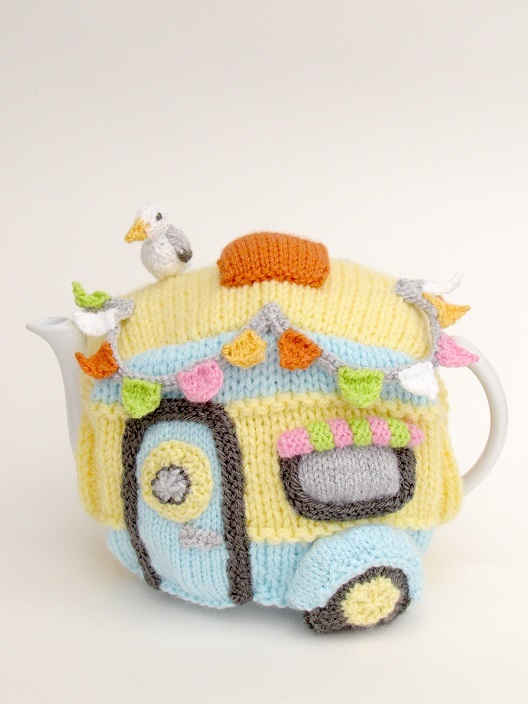 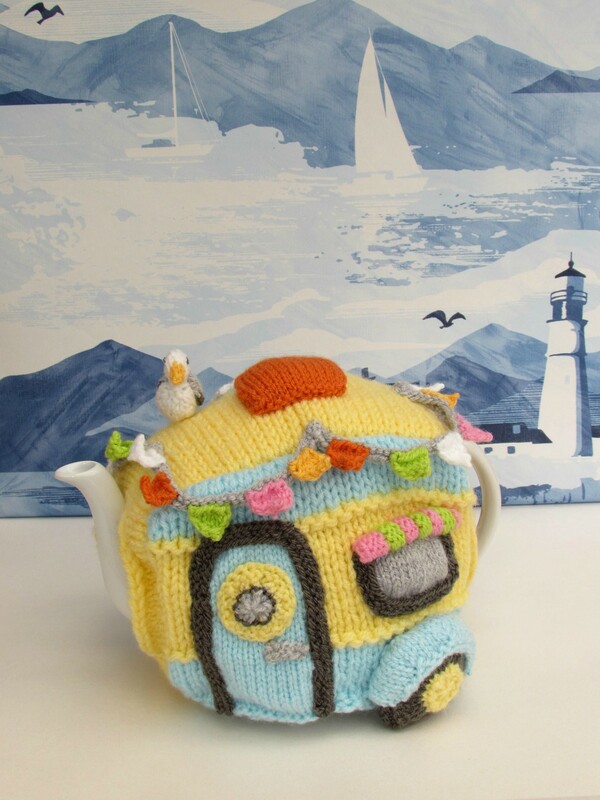 The vintage caravan tea cosy is a cute tea cosy based on a tow caravan. 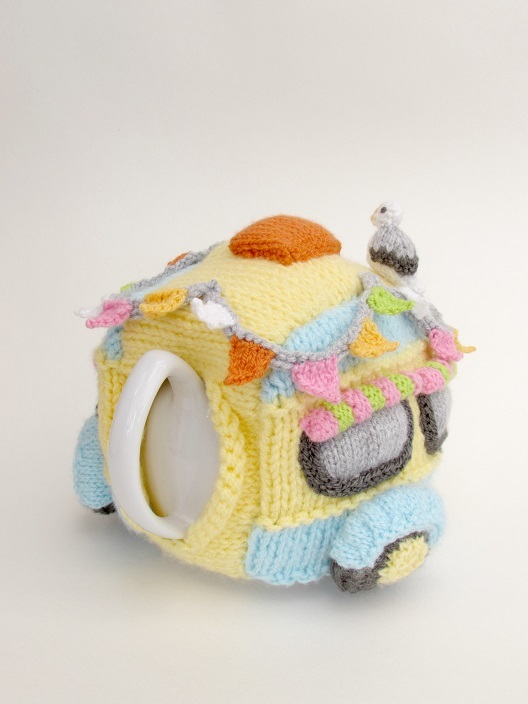 The caravan tea cosy has the classic 'box' like shape with rounded corners and makes you think of bygone summer holidays. 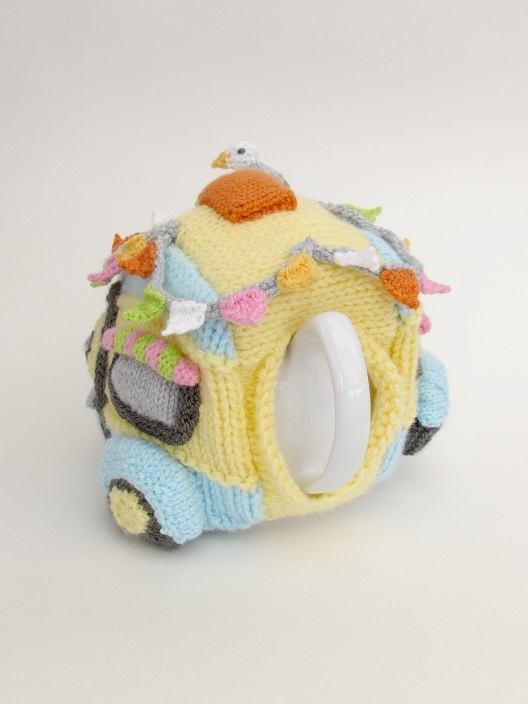 The caravan tea cosy has three windows with striped pelmets, a door, chunky wheels, a orange skylight and is adorned with bunting. 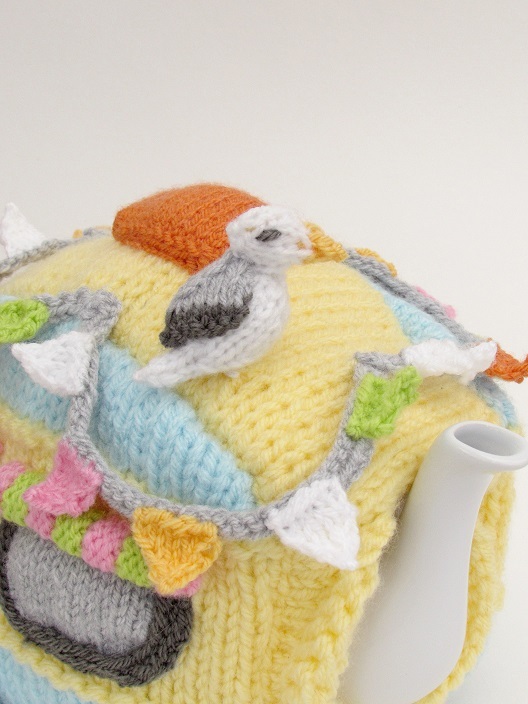 On the top of the caravan a cheeky seagull has perched on the roof. 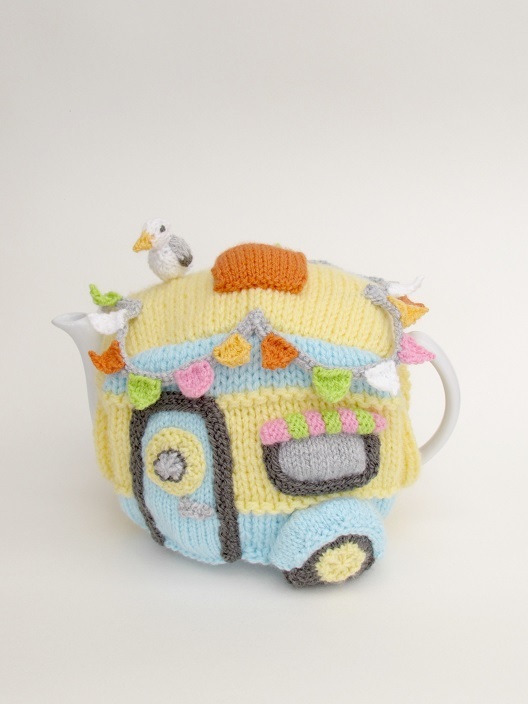 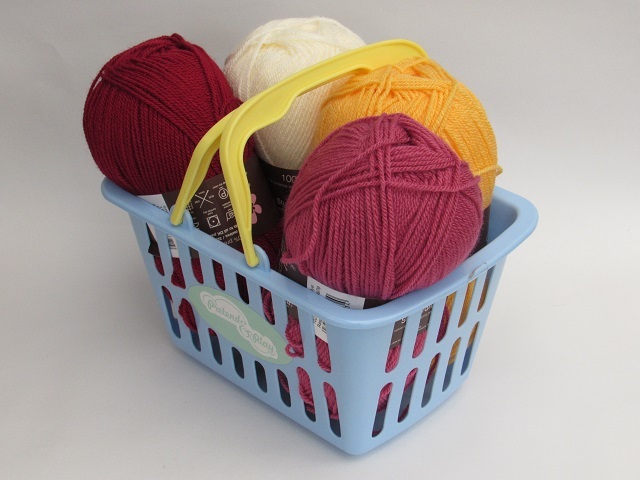 The caravan tea cosy is knitted in pastel shades, but could be knitted to look like your holiday retreat. 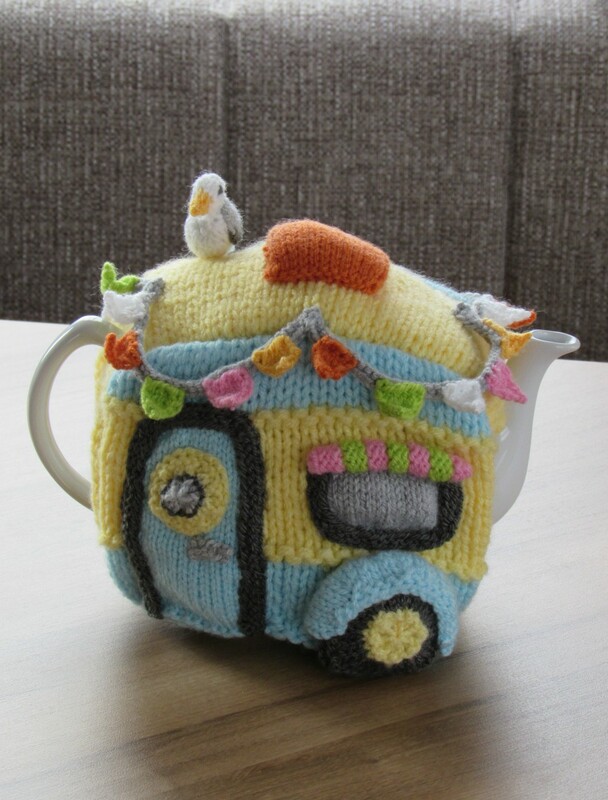 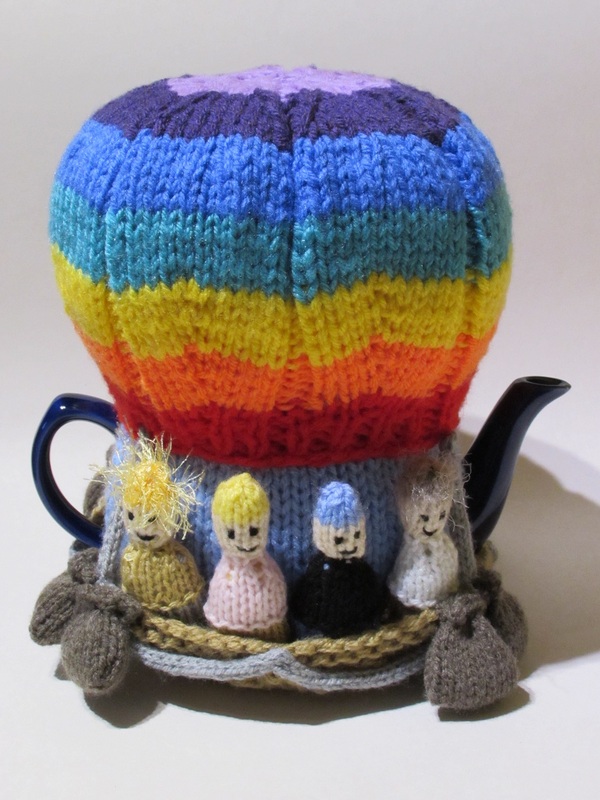 But you don't need to be a member of the caravan club to enjoy the caravan tea cosy, it's a lovely vintage theme, summery tea cosy; that will lift your spirits at teatime. 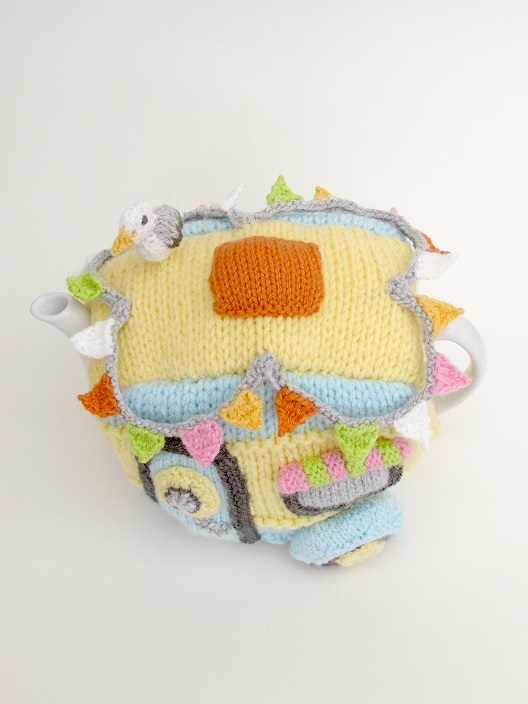 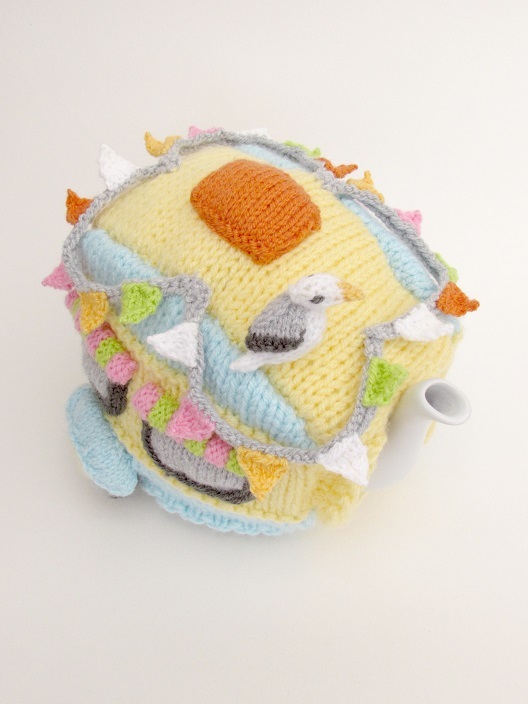 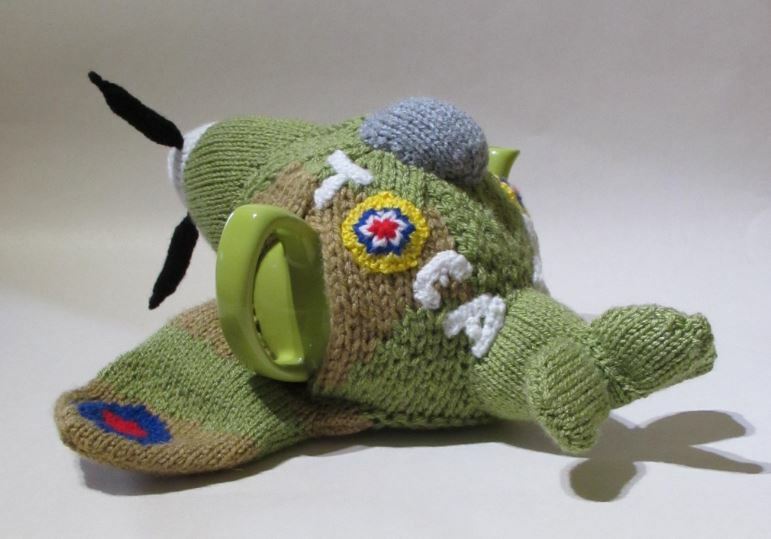 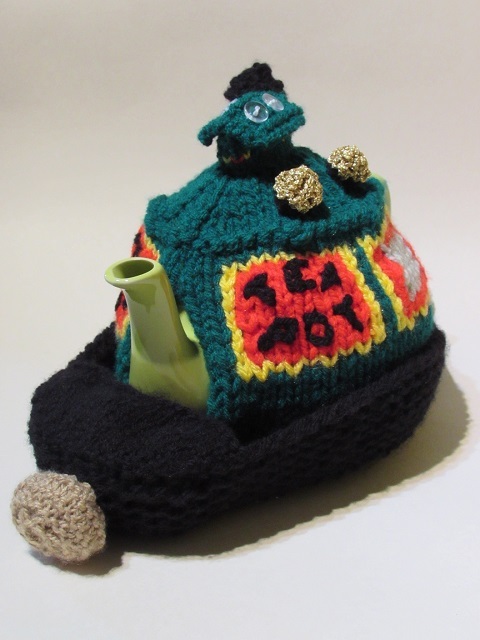 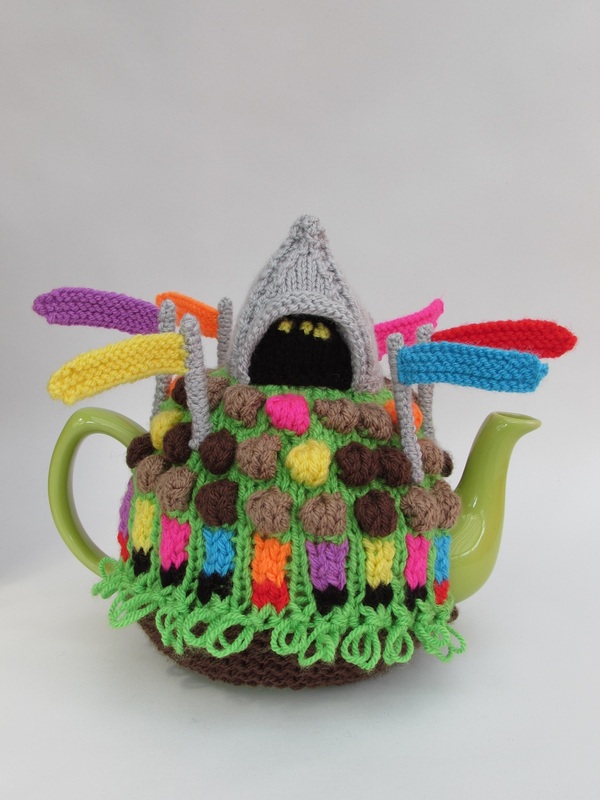 The tea cosy fits a large sized teapot that holds 10 cups of tea or 1500ml.